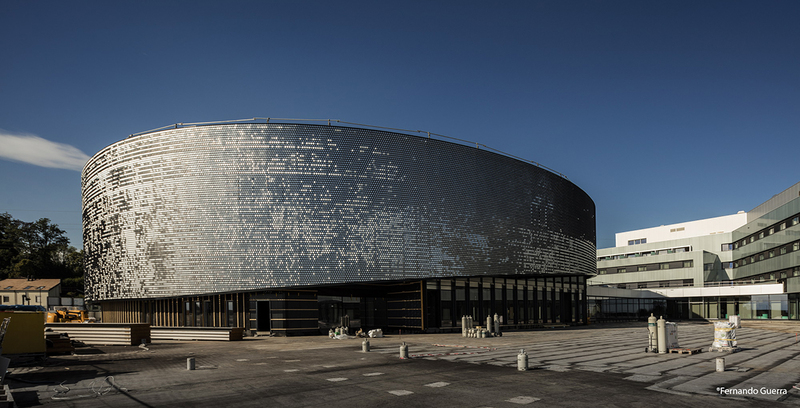 Born in 2000 after seven years of works by the Boas and Grisoni-Zaugg SA group, the purpose of Europe’s largest fresh water aquarium is to show biodiversity in all its forms. The site, which will open to the public october 21st 2017 in Lausanne, has chosen SOMEFLU corrosion resistant centrifulgal pumps to mechanically and biologically filter its tanks. Focus on collaboration under the sign of sustainable development. The ambitious project for this unique site in which Someflu is playing an active part, is to invite the general public to come and marvel at biodiversity and understand the stakes represented by fresh water in not only in Switzerland, but in the rest of the world. Frédéric Pitaval, from the IC Eau firm, the project’s initiator, worked on its design and its coordination with many specialised partners: “drinking water, water treatment, environmental problems, energy issues, geopolitical conflicts etc., the subject is looked at in its entirety and from the point of view of different continents”, he explains. Before adding: “we are always keen to find technology and innovations for aquariums, we were looking for specific equipment for our pumps that was compatible with aquariology and its special corrosion-related requirements. Another objective was to find stable equipment, to avoid eventual issues related to materials unsuitable for animals (heavy metals or electrolysis problems), which had no impact on the physical and chemical qualities of the water and which was also reliable.” This is why the choice of plastic was made by IC Eau, due to its harmlessness: some materials are very strong (stainless steel, cast iron, bronze, etc. ), but can interact with the circulating fluid and release metallic ions. In short, the composite material protects the animals and adapts to any fluids: both fresh water and sea water, because Aquatis also has sea water. The specialist goes on to tell that “From the very first contact with the Someflu teams, we were reassured that our application fit in with their core business. “Plastic is in fact their brand, but would they have the product line we needed for our pools? 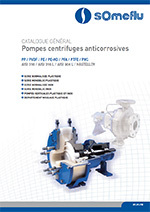 The answer was yes: with the smallest pumps starting at 15m3/ hour, and the biggest at 250m3/hour, Someflu had a wide range of models that fulfilled our various needs”, continues Frédéric Pitaval. Before adding: “the choice of circulating fluid speeds can very depending on the animals, the aquarium volume, the type of ecosystem, as well as the intended application. Many parameters and uncertainties determine specific operating issues. We have almost as many pumps as aquariums”. A total of 2 pumps per pool: one for mechanical filtration, the other for biological filtration, almost 40 pumps (HMP-N, ECO and NP models) equip about 25 of the site’s pools (about fifteen small aquariums do not require Someflu pumps). Variable frequency drives are used to optimise pump electricity consumption.